I shouldn't look at this thread or this whole Rescue bit either westiemum. I love dogs so much & I worry myself sick about ones that don't have a loving home. Just so sad really. All paws crossed you find your forever, loving home very soon handsome boy. If I didn't have my Stella girl whom I adore to bits BUT she is a right little "B" around any other dogs. He has a lot to put up with. He adores her & they get on like a house on fire. She isn't mean to him but she loves to play bitey face & legs so she will be at him lots. She also wants to be all over him, nuzzling him & kissing him. All the while he is lying back on his bed all regal like. this symbol describes her to a tee. Certainly hope that Dave did find his forever home. As for Oscar I'd adopt him in a heartbeat, he would have to be better at obedience than our 2 yr old tibbie who has been given the title of class clown But I'm not allowed to get another dog till we move to a bigger place. Like Valbitz last week I couldn't decide on these two so I shall list them both. 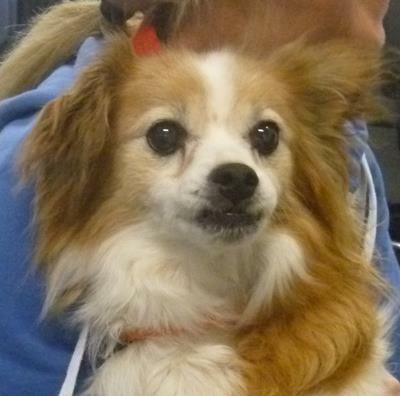 First up we have Boy Boy who is listed as a Tibetan Spaniel :/ BB is 15 years old and is available for no fee at the Burwood East RSPCA in Victoria. She is also available for no fee at Burwood East RSPCA in Victoria. 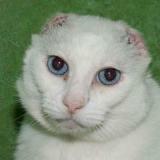 Poor puddie cat Being a white cat, perhaps they got cancer on them from the sun & had to be removed??? Or fly strike perhaps ??? Dear ol' thing. Not really a post that fits in but senior fans may want to check out the sweeties we have in our retirement program for the ones staying in care while they are happy and enjoying life. There's another one to add but not today. :( she is too young and perfect. It's not fair. Don't scroll too far towards the bottom, that is where the memoriam is. Cheesus - those poor dogs who have lost part of their jaw simply because of poor dental hygiene. But what an amazing program! This is Polly, she is listed as a 14 yr old female Maltese. Polly is at SADS so she is safe but it would be nice if she could find the perfect retirement home. Great news!! 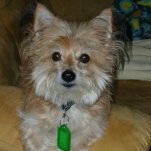 Little Polly has been adopted from SADS. Enjoy your new home gorgeous girl. Little 11 year old Lucy is due to be put to sleep on Tuesday, the 31st of March. She does have some fear aggression issues when she is around people in the pound setting, but hopefully this will ease once her life resumes some normalcy. 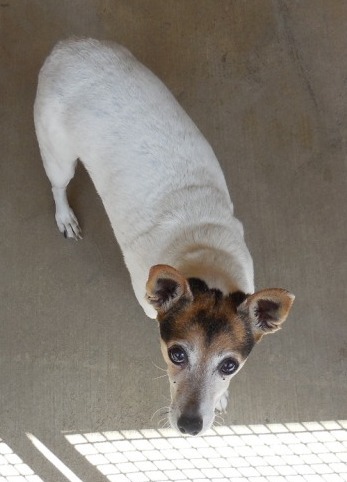 Lucy was surrendered because her owner could no longer care for her. The Owner has had Lucy since she was a pup, fell on hard times and was living out of her car. The ranger said the owner was extremely upset when she had to leave Lucy at the pound. Lucy will need a quiet home with a patient owner prepared to take things slowly. The rangers have seen her go from very frightened and not being able to get near to allowing them to pick her up. Every time one of the rangers came by she got excited wagging her tail and wanting their attention so it we know she will gain trust but it will take time and lots of patience. She is not suited to a home with children. If you can't take Lucy long-term, please consider fostering Lucy until a long-term home can be found for her. There isn't an active Queanbeyan thread up in Urgent at the moment - but Lucy has been tested by ARF. Her temperament test details are available from bazilybazbaz on DOL.